Actress Kang So Ra expressed regret on the last filming for KBS 2TV’s Dream High 2. 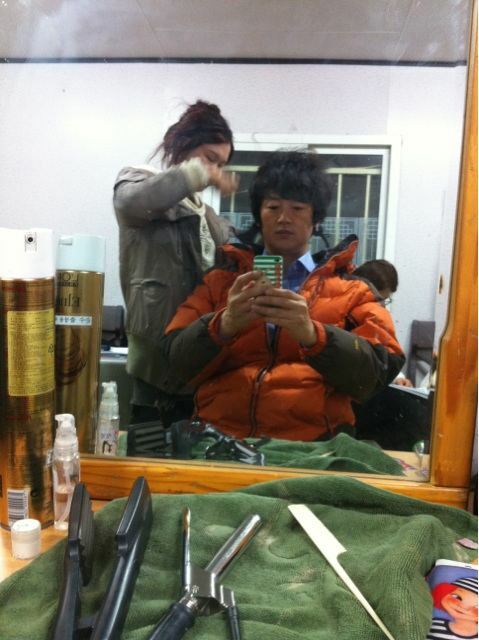 At around 8:20am on March 19th, 2012, Kang So Ra tweeted on her Twitter account, “The day of last shooting of Dream High! The time flied so fast.” And she uploaded a photo. In addition, co-starring actr Kim Jung Tae also tweeted on the afternoon of March 18th, 2012, “Tomorrow is the last shooting. Along with Kahi and Hae Hyo of Dream High 2,” and he uploaded a photo. In the published photo, Kim Jung Tae was close to the camera and slight opened his mouth, posing a funny look. Kahi behind him posed a cute V sign, while Kwon Hae Hyo frowned, seemingly disgusted with something, drawing laughter. Meanwhile, the sunny selca of Kang So Ra received plenty of responses. Kang Sora who pushed backward her bangs showed a smile with dimple, touching the hearts of fans. Netizens commened, “It was taken when filming the audition?” “Already the last shooting… Fighting to the last day of filming,” “Lastly… finish well and take care of healthy” and so on. Dream High 2 remains with 2 episodes, and will ring down its curtain on March 20th, 2012.